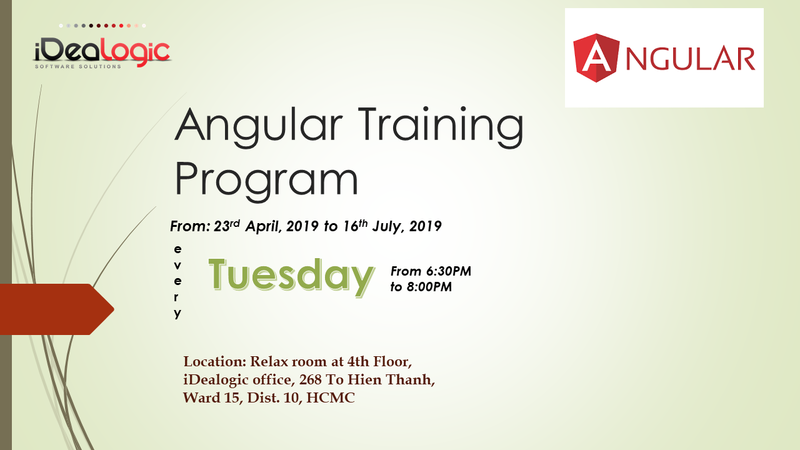 After this training program, participants will be to build from start to end an Angular project, also to know how to integrate with server-side language like ASP.Net Core. There will be some snack/fruit/light dinner for participants each class. Please register by 6:00 pm, 21 April 2019. Note: The presentation language is in Vietnamese.